• The Senators are holding a job fair this Saturday from 10am through 2pm looking for candidates to fill part-time and game day positions like ushers, suite attendants, concession stand attendants, ticket scanners, and video board/camera operators. If you are interested in more information, contact Jonathan Boles by phone (717-231-4444 x116) or e-mail (jboles@senatorsbaseball.com). 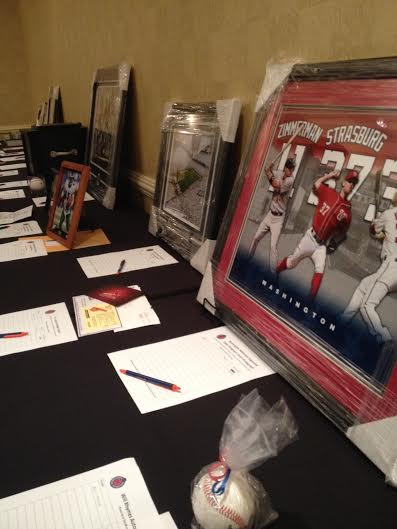 • If you haven’t seen it yet, please check out some of the work I did for PennLive over the weekend: a recap of the Hot Stove Dinner and a Q&A with manager Brian Daubach. A: It’s a big help. Actually Tripp and I lived together when we played in Binghamton a few years after that. He was also my third-base coach when I managed in indy ball too. He knows what I can expect out of guys. Our managing styles are similar. But, yeah that’s a big help. Hopefully, I’m a big help to the guy above me as well. But to just know a guy for 20-some years when he’s sending me players, I definitely know what to expect. • Saul Rivera (’02, ’04-’05) surrendered a grand slam to Phillies’ prospect Sebastian Valle in the deciding sixth inning as Puerto Rico fell to Mexico in the Caribbean Series championship. Tyler Herron (’13) excelled as the closer for PR as he saved three games including a 1-2-3 ninth in the 2-0 semifinal win over Venezuela. This entry was posted in Roll Call and tagged 2014 Caribbean Series, Brian Daubach, Harrisburg Senators, Hot Stove Dinner, job fair, Mark Harris, Saul Rivera, Tripp Keister, Tyler Herron. Bookmark the permalink.